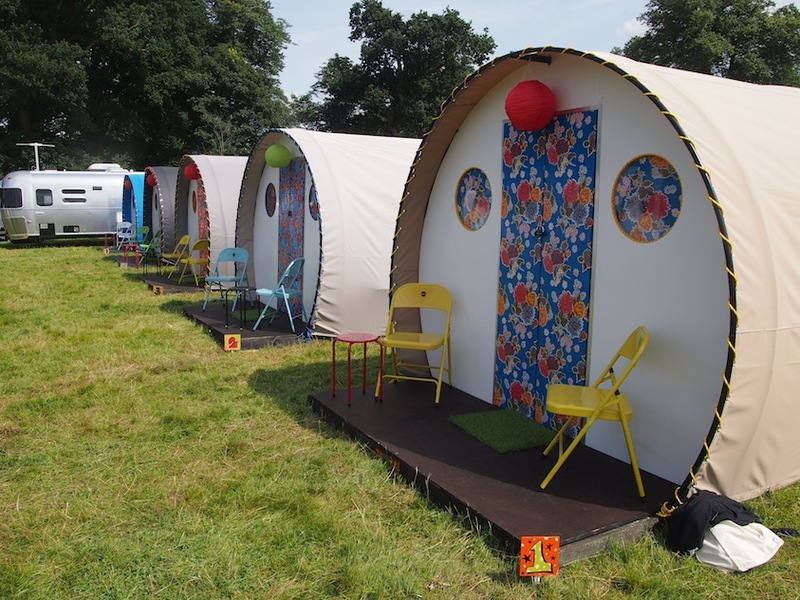 New to Love Fields Kushti Cabins offer unique fully furnished accommodation for two, funky in design and both organic in shape and solid in build. Kushti Cabins come in two sizes - Comfort and Luxe - both come with real king size beds with bedding, rugs, bedside tables, a mirror, hooks and hangers, lockable doors and chairs on the porch. Kushti Luxe additionally have power, extra pillows, colour changing LED, luggage rack and a small table for the porch. Our Kushti cabin guests have access to smart toilets and showers, blow dry bar, phone charging points, nearby car parking, spa facilities, private bars and eateries, along with 24hr staff and security. If you are planning on driving to the festival you will need to book a Love fields car pass for £75 each.